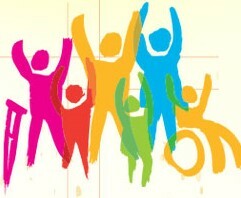 Enable Wellness promotes quality of life for people of all abilities through active living, wellness solutions, and barrier-free environments. Our expertise includes: Accessibility consulting and training; Accessibility assessments of built environments; Development of Adaptive products and services; and Development of inclusive programs and activities. 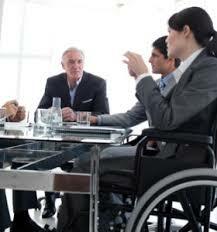 Get Inclusive with our Accessibility Consulting services. Whether you’re looking for an accessibility assessment of your physical environment or accessible customer service training for yourself or your team, we can provide you with the knowledge and skills to address the growing demand for accessibility and inclusion in your community. and 8.7 million) Canadians who live with a disability. Globally, there are more than 1.3 billion people living with disabilities, already representing the largest minority group in the world – and the only minority group that any of us can become a member of at any time. Disabilities can result from an accident, degenerative illness or a medical condition, or can be the natural outcome of growing older. Research shows that when people living with disabilities are empowered to participate fully in societal life, the entire community benefits. Yet people living with these disabilities continue to face both visible and non-visible barriers. These barriers limit access and prevent people with disabilities from fully participating in, and contributing to, society.